No one wants to waste money by running an HVAC that is not running efficiently. However, at 1st Choice Plumbing Heating & Air we see clients all the time who don’t realize that there are simple steps they can take to increase how efficient their heating and cooling systems are. Today we are going to cover eight things you can do to improve your air conditioning system’s efficiency. If you have questions or need help with heating, cooling, or plumbing services, contact us at 866-437-0205 for assistance. Your outdoor A/C unit will work best when it is clear of debris. If you see leaves and other debris, remove them. If there appears to be more significant issues, call in the professionals. Look at your indoor supply vents to ensure they are not blocked. If you see dust or debris, vacuum it away. Make sure that nothing is in the way of them, such as furniture. Adjusting just five degrees can have a huge impact on how much you spend your heating and cooling costs. A programmable thermostat allows you to set your unit to automatically change during different times of the day. If you have lamps or other appliances that can get hot near our thermostat, they can tell your thermostat that it’s hotter than it really is. This results in more cooling, which can be both uncomfortable and costly. 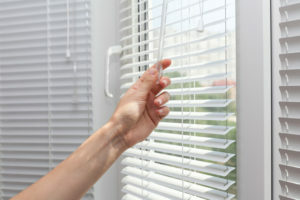 During the hours that direct sun hits a particular room in your home, close the curtains and blinds to prevent the sun from warming your house. You will find a drain near the indoor coiling coil, often mounted on top of your furnace. Take a cup of bleach and mix it with a gallon of water, then flush it down your drain. This can keep your drain clean and improve efficiency. Both appliances can heat up your home, which will then require more A/C to keep cool. If you have ductwork that’s running through an unconditioned space, make sure that it is sealed correctly so that none of your conditioned air is leaking. If you see a leak then you can likely fix it yourself but make sure that you’re using duct-tape that is at least UL-181 rated. If you do not see a leak then you may need to ask your HVAC company to take a look. These are just eight of the ways you can reduce your cooling costs. Remember that regular maintenance can make a big difference too. Contact 1st Choice Plumbing Heating & Air at 866-437-0205 to get started.